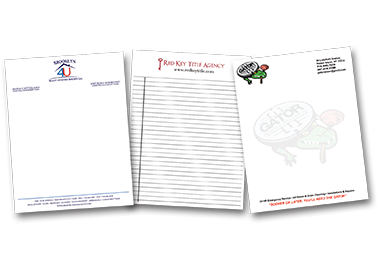 We have a wide select of stocks for Letterheads; Wove, Linen and Laid. We carry Classic, Royal, Strathmore, Wausau and more. We have matching envelopes for our Letterheads.